When you find someone who has seen nearly seven decades of social change, it’s probably a good idea to sit back and listen to them tell of their experiences. Such is the case with 68-year-old Dianne Binns. 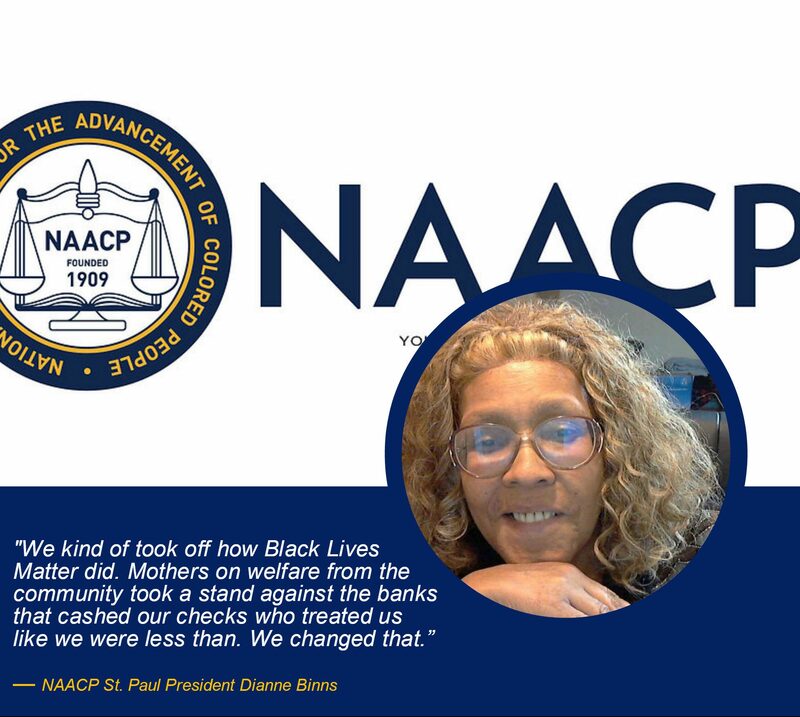 Binns is the current president of the National Association for Advancement of Colored People (NAACP) St. Paul chapter. She has done it all, seen it all, and still fights for what she believes in each day. “I’ve [grown] up in [racism] my whole life,” she said. “I remember having the colored bathrooms and water fountains that were dirty, walking five miles to school when there was one right up the road, because it was an all-White school. She moved to Minnesota in 1967 and saw opportunity where other people did not. She was married at 13, had five children with her husband, and divorced him after six years. She first obtained her G.E.D, then attended the University of Minnesota where she obtained both a Bachelor’s and a Master’s degree in sociology. She provided the inmates with soul food dinners and gave them extra help after hours. In appreciation of her work for them, the inmates gave her a clock as a gift. She became intrigued by the NAACP when she was young. Since 1992, she has served in nearly every position of the NAACP, including treasurer, secretary, and vice president. With Obama, she was happy with the election. It was her mother who warned her of the ill will that would be held towards him after the inauguration: “We are going to catch hell, watch these White folks,” she said, repeating her mother’s words. She is currently working on collaborating with criminal justice professionals for a program called LEGIT to be offered in the high schools that would allow students to know their rights when they encounter police, and also teach them about their history and background. Ivan B. Phifer welcomes reader responses to iphifer@spokesman-recorder.com.